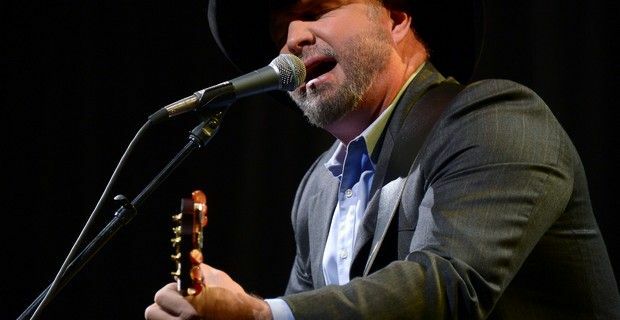 Country music superstar Garth Brooks announced his return at Croke Park earlier this month and this will be the first time that Brooks has played in Ireland since 1997. Brooks made a bestselling video/DVD of his 1997 Croke Park concerts and said the place was special for him and he’d be returning to the same venue for 'The Garth Brooks Comeback Special Event' in July with just two dates scheduled, Friday and Saturday July 25 and 26. The Croke Park concerts are not part of Brook’s world tour but are special performances ahead of the tour which is due to start later this year. Aiken Promotions announced that tickets for Brooks' concert would go on sale at 9am GMT on January 30th (yesterday). Thousands of people camped out in front of ticket-selling venues across the country to get their hands on the tickets and the first two dates sold out by 10am, which prompted a third date to be added due to the exceptionally high demand and that concert date also sold out within the hour. Ticketmaster reported that all 240,000 tickets(costing 65 euros (£54)each) had been bought in90 minutes, saying it was the first time an artist has sold out three dates at Croke Park in a single day. “In 52 years of business this is the fastest selling concert Aiken Promotions have ever been involved in,” Peter Aiken” said in a statement. Garth Brooks’ manager Bob Doyle said they were “thrilled” with the result. Brooks was one of country's biggest stars in the 1990s. His albums, including "Ropin' the Wind," "The Chase" and "In Pieces," sold in excess of 128 million copies, according to the Recording Industry Association of America and was named the best-selling artist of the Soundscan era, which spans 20 years - The Beatles took the number 2 spot. He retired in 2000 to spend more time with his three children, but in 2009 he began a five-year concert deal with the Wynn Las Vegas for 15 weekends a year and was inducted into the Songwriters Hall of Fame in 2011.